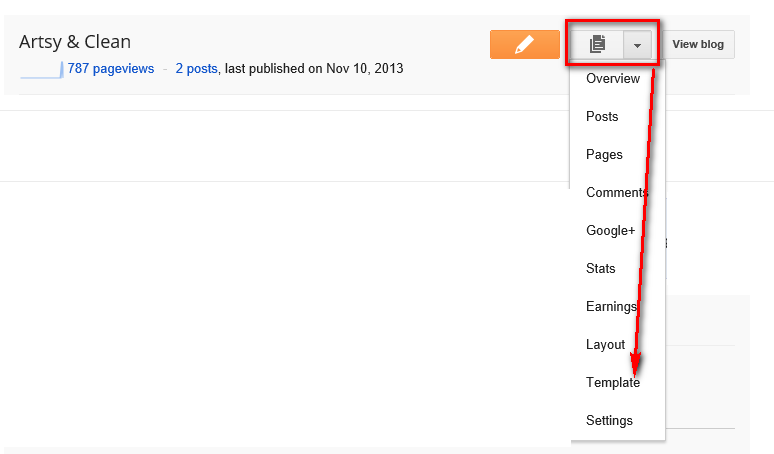 Click on the dropdown arrow next your blog and choose “Template”. UPDATE: This now might appear for you as a left dash sidebar. If so click the word THEME. 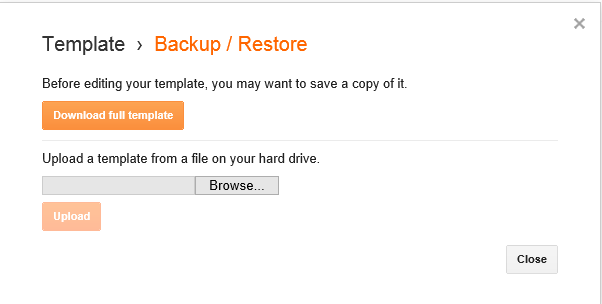 Now choose “Backup/Restore” on the top right corner to upload your new template. From the pop up screen, click on the browse button and select your purchased .xml file. After locating and selecting your .xml file, click on the upload button and your new theme will be activated on your blog. Important note: It is recommended to save your existing template first as a backup. Simply click on “Download Full Template” and save the file before uploading your purchased template. Note: Blogger now gives a warning about https. Don’t let that worry you. It shows that to everyone regardless of the theme. Our themes are https compatible.